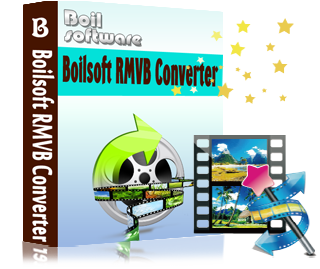 Boilsoft RMVB Converter helps you convert Real Media files, Rmvb files(*.Rmvb) to AVI, MPEG-1, MPEG-2, VCD, SVCD, DVD, iPod MP4, PSP MP4 and WMV/ASF easily and quickly. 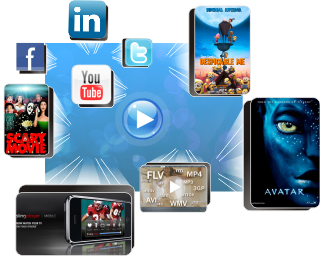 With Boilsoft RMVB Converter, all your favorite Rmvb videos can be converted to AVI, MPEG, iPod MP4, PSP MP4 and WMV/ASF format to playback on your portable PSP, iPod, iPhone MP4 player. Or convert your Rmvb files to VCD, SVCD, DVD to do a file backup, or to play them on your home VCD/DVD player, to enjoy a movie time with your families. Our RMVB Converter is one handy and powerful Rmvb video converter,that all popular formats are supported. Download RMVB Converter now, to convert Rmvb files. Boilsoft Rmvb Converter is also a all-in-one Rmvb converter, including Rmvb to AVI converter. Rmvb converter, convert Rmvb to AVI, DivX, Xvid video. Which AVI Codec is best? *Our sale pricing is intended for individual purchases, and only available for a limited time. Boilsoft Systems International Inc. reserves the right to limit order quantities. Protected by the copyright laws of the China and by international treaties.